Some 70,000 German workers representing some 300 engineering firms have gone on “warning” strikes, demanding higher pay rises than their employers can offer. 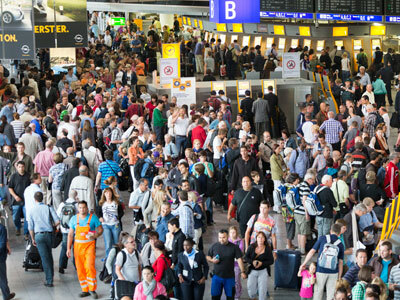 In a separate strike, security staff walked out of two German airports, causing travel chaos. The biggest German trade union, IG Metall – which represents 3.7 million workers – said that up to 70,000 engineers working mainly for BMW, Daimler, and automotive supplier Schaeffler staged a strike after rejecting their employers’ offer of a 2.2 percent pay rise for 2015, beginning March 1. Instead, the union is demanding a 5.5 percent rise, citing Germany’s solid economic growth. IG Metall warned that more workers will strike if its demands are not met. On Thursday, the German labor office announced that unemployment in January fell to its lowest since reunification. The announcement came just one day after the government raised the country's 2015 economic growth forecast from 1.3 to 1.5 percent. “The next days are going to be hot,” IG Metall said in a statement, adding that Baden-Wuerttemberg and Rhine-Westphalia are the most affected regions. “The strong participation in the strikes shows what the workers think of the proposal” of their employers, IG Metall vice president Joerg Hofmann said. 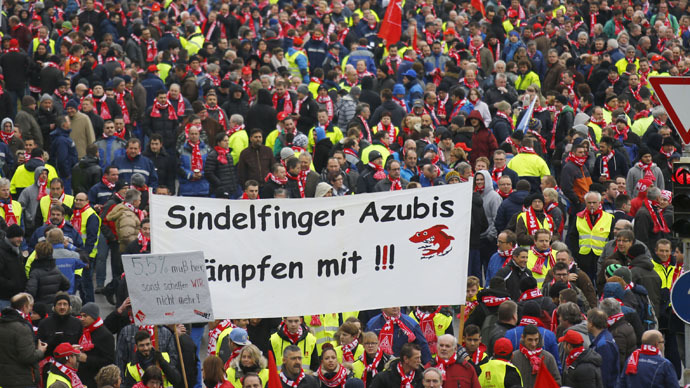 While workers stand their ground, wage negotiations are scheduled to continue next week in North Rhine-Westphalia, and in Baden-Wuerttemberg in two weeks. 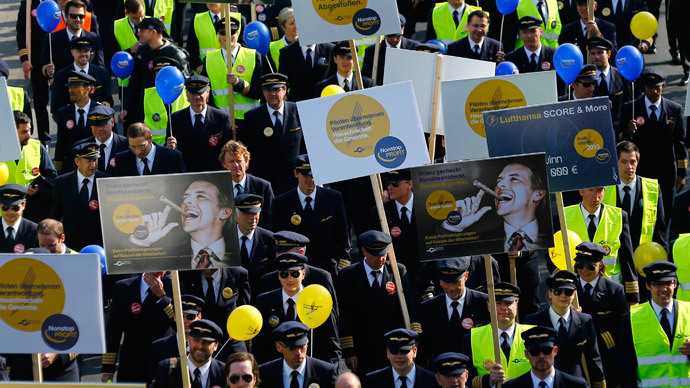 Meanwhile, security personnel at Dusseldorf and Cologne-Bonn airports have gone on strike after failing to achieve a pay rise following three rounds of negotiations with the Verdi trade union. As a result, hundreds of flights have been canceled. 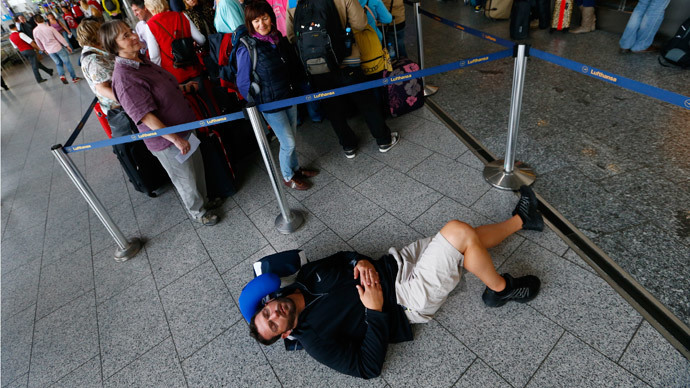 Dusseldorf cancelled 205 of its 530 flights. At Cologne-Bonn airport, 40 flights were canceled out of 190 scheduled take-offs and departures. Employers have so far rejected the union’s demand for pay rises of between €1.50 (US$1.70) and €2.50 ($2.83) an hour for the private security workers.